The Emotion Thesaurus is pretty much exactly what it says on the label. This non-fiction book has an entry for emotions ranging from adoration to worry. Each entry lists a definition of the emotion, as well as physical signs, mental responses, cues that might be given off by acute long-term sufferers of that emotion, cues of suppressed emotion, and other possibly related emotions. It is intended to be a reference book for writers. This book was mentioned with some derision at one of the Conflux panels I attended so I thought I would check it out for myself. It didn’t take long; the book is fairly slender and features one emotion for every double-page spread. There is a fair bit of duplication between similar emotions–for example, the lists for annoyance and irritation feature many of the same signs. Judging from the tone, the book is aimed at newer writers and I can see how it could be a useful starting point. However, any writer will still need to consider cultural norms, genre expectations and the particulars of their character. Gillian Polack explores how to give this kind of consideration to dialogue over on the History Girls blog. 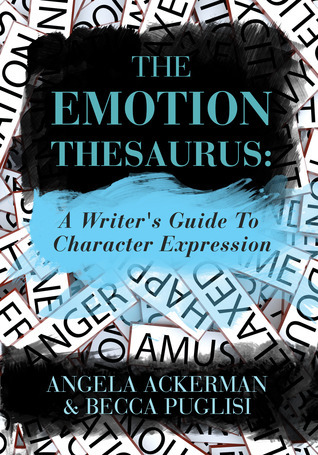 While the opening chapters of The Emotion Thesaurus are careful to point out this kind of consideration is needed in order to avoid cliché, the thesaurus format makes it easy for those looking for a short-cut. This was the very reason it received criticism at Conflux. Unsurprisingly then, the book is best seen as a tool: equally capable of producing the beautiful and the dreadful, depending on the wielder. Use with caution.